We’ll start by acknowledging that to take a story we can all recite backwards and encapsulate the attention of a theatre audience with it for a two hour performance can be no easy feat. 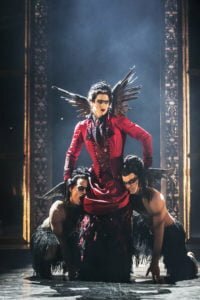 Matthew Bourne’s production of Sleeping Beauty was performed for a week this May at Sheffield’s own Lyceum theatre before a tour of the globe. Bourne managed to create theatre of immensely high quality in every aspect of its production. I could easily have watched it again with great ardour. From the Vivienne Westwood-esque trailing, layered costumes, to the grandiose gothic archecture of the set design, to the show-stealing puppetry, there’s not a single moment that disappoints. No talent is left unshowcased and a fault to pick in any of it I could not find. Rather than prescribing set roles, each of the New Adventures company dancers (who all have several Bourne productions already under their belts) alternate parts throughout the tour, whilst all simultaneously convincing you throughout that they are playing the part they are born to play. Bourne’s distinct style is, as always, completely unclassifiable and excitedly so. It marries contemporary dance with classical ballet amongst other things in an absolutely seamless fashion. Perhaps most commendable is Bourne’s talent for gender fluidity in his choreography. Known famously for his all male production of Swan Lake we knew that Bourne’s men would be far from big biceped props lifting dainty women with the odd courtesy solo dance. These men dance extended solo pieces and even display some incredible male on male lifts to create some truly mesmerising effects. In an age where we are spoiled by CGI, to go to a theatre and see men in flight, surreal automatous dream figures and literal transformations happening before your eyes, with absolutely no camera trickery, feels like magic. Most notable is the dream-like sequence in which we are foretold baby Aurora’s fate. The dark fairy Carabosse, encapsulating the story’s Grimm roots as a twisted pantomime dame, clutches the form of a crying baby. With a blink, the doll transforms into a real, fully grown, faceless woman, eerily forboding her cursed slumber through soft and surreal moves within the premonition. 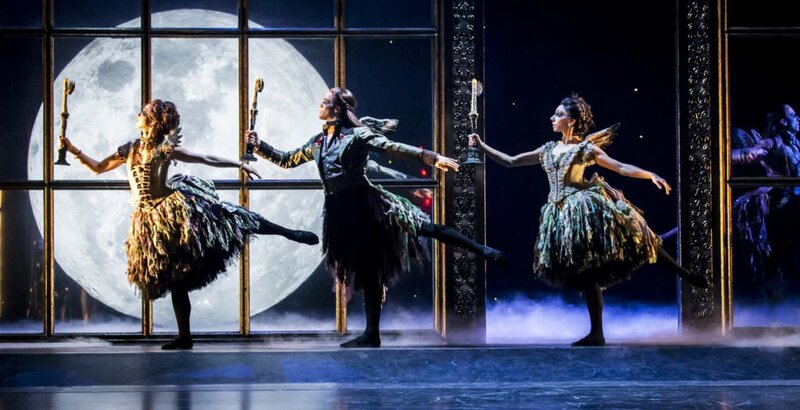 The talent of the dancers is unquestionable as they transcend styles, appear to defy gravity and even Bourne’s inclusion of, not one but two, travellators on stage does nothing to knock their precision and grace an inch. Dollops of humour and the occasional surprise plot deviation from the Brothers Grimm original breathe bursts of new life into the tale. 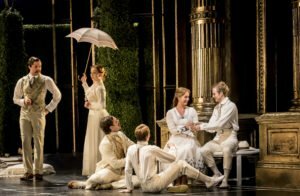 The use of a story we all know means we admire aspects of the performance that we might normally miss whilst desperately clamouring to follow the story (as so often happens in ballets). It is this edge of familiarity and accessibility that Bourne brings to his ballet performances that means he can engage new audiences. 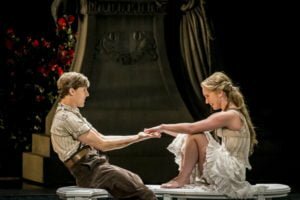 And the impeccable talent of the New Adventures cast and crew coupled with the modernity of the production has put Sleeping Beauty in a prime position to awaken a whole host of new Bourne fans, whilst continuing to leave his audiences in a daze. 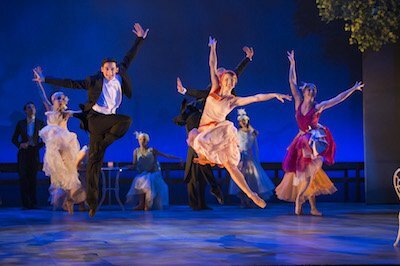 The run of the ballet is over but keep an eye out at http://new-adventures.net for upcoming performances and other fascinating works by Matthew Bourne.